PREMIUM PACKAGE, SPORT STYLING, PARKING ASSISTANCE PACKAGE, BLIND SPOT ASSIST, HEATED STEERING WHEEL, BURMESTER SURROUND SOUND SYSTEM. Recent Arrival! 30/22 Highway/City MPG The E-Class Sedan is a masterpiece of elegance, just waiting to cater to you as the driver. It can be considered an innovator of luxury sedans, being the most advanced E-Class yet. With the E-Class, you have not only a luxurious and elegant ride, but also a vehicle that puts safety as a number one priority. The E-Class provides technologies that have never been offered before, such as groundbreaking Car-to-X Technology. This Car-to-X technology connects your E-Class to a central information resource, to send you in-car updates about driving conditions before you get to them. Your E-Class can also report its own information, such as hazards in the road to alert other E-Class drivers. Other safety features such as PRESAFE® Sound and PRESAFE® Impulse, you are protected in all ways imaginable during the unfortunate event of a collision. The E-Class not only keeps you safe, but it provides the best of the best in your interior cabin. The E-Class sedan sports a panoramic 12.3-inch screen that provides navigation, entertainment and countless features, right in your eye-sight of view. The E-Sedan also boasts standard COMAND® navigation, so you always know the right direction to go. Along with these features, the cabin has fine-tailored seats paired with exotic wood trims, which accent perfectly at night perfectly with the 64-color ambient lighting. Day or night, the E-Sedan will look great inside, as well as outside.PREMIUM PACKAGE, SPORT STYLING, PARKING ASSISTANCE PACKAGE, BLIND SPOT ASSIST, HEATED STEERING WHEEL, BURMESTER SURROUND SOUND SYSTEM. The E-Class Sedan is a masterpiece of elegance, just waiting to cater to you as the driver. It can be considered an innovator of luxury sedans, being the most advanced E-Class yet. With the E-Class, you have not only a luxurious and elegant ride, but also a vehicle that puts safety as a number one priority. The E-Class provides technologies that have never been offered before, such as groundbreaking Car-to-X Technology. This Car-to-X technology connects your E-Class to a central information resource, to send you in-car updates about driving conditions before you get to them. Your E-Class can also report its own information, such as hazards in the road to alert other E-Class drivers. Other safety features such as PRESAFE® Sound and PRESAFE® Impulse, you are protected in all ways imaginable during the unfortunate event of a collision. PREMIUM PACKAGE, EXTERIOR LIGHTING PACKAGE, PARKING ASSISTANCE PACKAGE, ILLUMINATED DOOR SILLS WITH MERCEDES-BENZ LETTERING, ILLUMINATED STAR, BLIND SPOT ASSIST, HEATED AND VENTILATED FRONT SEATS. Recent Arrival! 26/20 Highway/City MPG The E-Coupe provides the utmost comfort and convenience, in an open an airy design. This vehicle sure is a beauty to look at, especially in your driveway! With the E-Coupe, you will jump at every opportunity to go for a drive, or even just get to look at the beautiful design of the exterior. With a class-exclusive pillar-less design, four power windows, and a giant Panorama sunroof, an E-Coupe offers airy openness with the strength of a Mercedes-Benz. Just picture yourself driving down the winding roads of the North Shore with all four windows down, getting a great constant breeze blowing through the cabin. The E-Coupe does not disappoint when it comes to providing an exhilarating driving experience. With individual seating for four passengers in a roomy and spacious cabin, you will almost forget you are in a 2-door coupe! The design of the interior of the E-Coupe does not miss any details. When inside the cabin, you can appreciate the many different exotic wood trim options, the contouring driver and passenger seats, and the intriguing bespoke air vents. Everything about the E-Coupe interior is inviting, almost as if the car wants you to take it for a spin! The E-Coupe provides a truly exceptional driving experience that you would only expect from a Mercedes-Benz.PREMIUM PACKAGE, EXTERIOR LIGHTING PACKAGE, PARKING ASSISTANCE PACKAGE, ILLUMINATED DOOR SILLS WITH MERCEDES-BENZ LETTERING, ILLUMINATED STAR, BLIND SPOT ASSIST, HEATED AND VENTILATED FRONT SEATS. With individual seating for four passengers in a roomy and spacious cabin, you will almost forget you are in a 2-door coupe! The design of the interior of the E-Coupe does not miss any details. When inside the cabin, you can appreciate the many different exotic wood trim options, the contouring driver and passenger seats, and the intriguing bespoke air vents. Everything about the E-Coupe interior is inviting, almost as if the car wants you to take it for a spin! The E-Coupe provides a truly exceptional driving experience that you would only expect from a Mercedes-Benz. PREMIUM PACKAGE, EXTERIOR LIGHTING PACKAGE, AMG® LINE, PARKING ASSISTANCE PACKAGE, DRIVER ASSISTANCE PACKAGE, ILLUMINATED DOOR SILLS WITH MERCEDES-BENZ LETTERING, REAR DECK SPOILER, HEATED AND VENTILATED FRONT SEATS. Recent Arrival! 26/20 Highway/City MPG The E-Coupe provides the utmost comfort and convenience, in an open an airy design. This vehicle sure is a beauty to look at, especially in your driveway! With the E-Coupe, you will jump at every opportunity to go for a drive, or even just get to look at the beautiful design of the exterior. With a class-exclusive pillar-less design, four power windows, and a giant Panorama sunroof, an E-Coupe offers airy openness with the strength of a Mercedes-Benz. Just picture yourself driving down the winding roads of the North Shore with all four windows down, getting a great constant breeze blowing through the cabin. The E-Coupe does not disappoint when it comes to providing an exhilarating driving experience. With individual seating for four passengers in a roomy and spacious cabin, you will almost forget you are in a 2-door coupe! The design of the interior of the E-Coupe does not miss any details. When inside the cabin, you can appreciate the many different exotic wood trim options, the contouring driver and passenger seats, and the intriguing bespoke air vents. Everything about the E-Coupe interior is inviting, almost as if the car wants you to take it for a spin! The E-Coupe provides a truly exceptional driving experience that you would only expect from a Mercedes-Benz.PREMIUM PACKAGE, EXTERIOR LIGHTING PACKAGE, AMG® LINE, PARKING ASSISTANCE PACKAGE, DRIVER ASSISTANCE PACKAGE, ILLUMINATED DOOR SILLS WITH MERCEDES-BENZ LETTERING, REAR DECK SPOILER, HEATED AND VENTILATED FRONT SEATS. PREMIUM PACKAGE, EXTERIOR LIGHTING PACKAGE, MULTIMEDIA PACKAGE, PARKING ASSISTANCE PACKAGE, BLIND SPOT ASSIST, PANORAMA ROOF, HEAD-UP DISPLAY, 12.3" DIGITAL INSTRUMENT CLUSTER. Recent Arrival! The C-Class is the epitome of a sporty, sleek, and roomy vehicle. It provides the best of all worlds and is up for any driving challenge it may come across. The C-Class is designed with muscular lines across the body of the vehicle that spark a sense of elegance, confidence, and capability within the vehicle. You will definitely turn heads and grab the attention you deserve when you drive a Mercedes-Benz C-Class! The interior is just as impressive as the exterior in the C-Class. The cabin provides a generous amount of room for a sedan of its size, and has the comfort and convenience in mind of the driver. With vivid and colorful displays, elegant dashboard components, and comfortable seating, the C-Class makes every single drive a happy and comfortable one. Not only is the interior comfortable, but it is modern and stylish. The interior demonstrates a long rooted tradition of craftsmanship that is within Mercedes-Benz vehicles. You as the driver, as well as your passengers will feel like VIP's riding in style when you take a drive in the C-Class!PREMIUM PACKAGE, EXTERIOR LIGHTING PACKAGE, MULTIMEDIA PACKAGE, PARKING ASSISTANCE PACKAGE, BLIND SPOT ASSIST, PANORAMA ROOF, HEAD-UP DISPLAY, 12.3" DIGITAL INSTRUMENT CLUSTER. PREMIUM PACKAGE, EXTERIOR LIGHTING PACKAGE, AMG® LINE, PARKING ASSISTANCE PACKAGE, ILLUMINATED DOOR SILLS WITH MERCEDES-BENZ LETTERING, ILLUMINATED STAR, BLIND SPOT ASSIST, HEATED AND VENTILATED FRONT SEATS, BURMESTER SURROUND SOUND SYSTEM. Recent Arrival! 26/20 Highway/City MPG The E-Coupe provides the utmost comfort and convenience, in an open an airy design. This vehicle sure is a beauty to look at, especially in your driveway! With the E-Coupe, you will jump at every opportunity to go for a drive, or even just get to look at the beautiful design of the exterior. With a class-exclusive pillar-less design, four power windows, and a giant Panorama sunroof, an E-Coupe offers airy openness with the strength of a Mercedes-Benz. Just picture yourself driving down the winding roads of the North Shore with all four windows down, getting a great constant breeze blowing through the cabin. The E-Coupe does not disappoint when it comes to providing an exhilarating driving experience. With individual seating for four passengers in a roomy and spacious cabin, you will almost forget you are in a 2-door coupe! The design of the interior of the E-Coupe does not miss any details. When inside the cabin, you can appreciate the many different exotic wood trim options, the contouring driver and passenger seats, and the intriguing bespoke air vents. Everything about the E-Coupe interior is inviting, almost as if the car wants you to take it for a spin! The E-Coupe provides a truly exceptional driving experience that you would only expect from a Mercedes-Benz.PREMIUM PACKAGE, EXTERIOR LIGHTING PACKAGE, AMG® LINE, PARKING ASSISTANCE PACKAGE, ILLUMINATED DOOR SILLS WITH MERCEDES-BENZ LETTERING, ILLUMINATED STAR, BLIND SPOT ASSIST, HEATED AND VENTILATED FRONT SEATS, BURMESTER SURROUND SOUND SYSTEM. PREMIUM PACKAGE, MULTIMEDIA PACKAGE, PARKING ASSISTANCE PACKAGE, ILLUMINATED STAR, HEATED STEERING WHEEL, HEATED FRONT SEATS, 64-COLOR AMBIENT LIGHTING, DARK BLUE SOFT TOP. Recent Arrival! 29/22 Highway/City MPG Picture this. It's a beautiful summer day on Long Island. You've got no plans for the day and decide to take a spontaneous trip to the Hamptons to enjoy the magnificent weather. What car would be best to take the trip in? The Mercedes-Benz C-Cabriolet of course! You hop in your C-Cabriolet, open the top and let the sun shine on your face, and start your journey to the Hamptons with the wind in your hair and the biggest smile on your face. This vision can become a reality when you purchase a C-Cabriolet! The C-Class Cabriolet opens a new dynasty of driving enjoyment as well as sporty elegance. Its convertible top is woven not just from rich fabric but a legacy of innovation, athleticism and craftsmanship. That is something that never goes out of season! The C-Cabriolet never fails to thrill, even year-round. With AIRSCARF®, you can still enjoy the top being down when it's a little chillier outside. The AIRSCARF® system wraps warm air around your shoulder area to provide you with warm comfort, even on a chilly night or a cooler fall day. The C-Cabriolet even has a special climate control system that adjusts according to whether you have the top down or not. Clearly, the C-Cabriolet is a vehicle that caters to you whether the top is up or down!PREMIUM PACKAGE, MULTIMEDIA PACKAGE, PARKING ASSISTANCE PACKAGE, ILLUMINATED STAR, HEATED STEERING WHEEL, HEATED FRONT SEATS, 64-COLOR AMBIENT LIGHTING, DARK BLUE SOFT TOP. PREMIUM PACKAGE, MULTIMEDIA PACKAGE, AMG® LINE EXTERIOR, NIGHT PACKAGE, REAR DECK SPOILER, BLACK ASH WOOD TRIM, HARMON/KARDON LOGIC 7 SURROUND SOUND SYSTEM. Recent Arrival! 32/25 Highway/City MPG The SLC is the roadster that is thrilling just by simply looking at it. From its diamond-textured grill, to the LED tail lamps and mirror logo projectors, the SLC is set to grab attention. Its sleek exterior is designed to slice through the wind, as well as slice through corners. The SLC has a soul that is of a pure sports car, with classic proportions paired with modern details. Similar to its big brother the SL, the SLC has a power retractable hardtop that goes down in under 20 seconds. Within seconds, you can experience open-air euphoria to further enhance your driving experience. Along with the retractable hardtop comes with a standard Panorama roof. Therefore, if weather conditions do not agree with driving with the top down, you can still experience an open air feel in the cabin. The interior of the SLC has the highest level of craftsmanship that you would expect in a Mercedes-Benz. From available music streaming, navigation, and vivid color displays, advanced technology is readily available inside the SLC. The SLC's available AIRSCARF® system heats your neck and shoulders for those slightly chilly nights you may choose to drive with the top down. The SLC is the roadster that is designed specifically for the driver, providing everything a driver would need and more.PREMIUM PACKAGE, MULTIMEDIA PACKAGE, AMG® LINE EXTERIOR, NIGHT PACKAGE, REAR DECK SPOILER, BLACK ASH WOOD TRIM, HARMON/KARDON LOGIC 7 SURROUND SOUND SYSTEM. The SLC is the roadster that is thrilling just by simply looking at it. From its diamond-textured grill, to the LED tail lamps and mirror logo projectors, the SLC is set to grab attention. Its sleek exterior is designed to slice through the wind, as well as slice through corners. The SLC has a soul that is of a pure sports car, with classic proportions paired with modern details. Similar to its big brother the SL, the SLC has a power retractable hardtop that goes down in under 20 seconds. Within seconds, you can experience open-air euphoria to further enhance your driving experience. Along with the retractable hardtop comes with a standard Panorama roof. Therefore, if weather conditions do not agree with driving with the top down, you can still experience an open air feel in the cabin. The interior of the SLC has the highest level of craftsmanship that you would expect in a Mercedes-Benz. From available music streaming, navigation, and vivid color displays, advanced technology is readily available inside the SLC. The SLC's available AIRSCARF® system heats your neck and shoulders for those slightly chilly nights you may choose to drive with the top down. The SLC is the roadster that is designed specifically for the driver, providing everything a driver would need and more. PREMIUM PACKAGE, EXTERIOR LIGHTING PACKAGE, AMG LINE EXTERIOR, PARKING ASSISTANCE PACKAGE, 19" AMG® TWIN 5-SPOKE WHEELS, ILLUMINATED DOOR SILLS WITH MERCEDES-BENZ LETTERING, ILLUMINATED STAR, LED LOGO PROJECTORS, BLIND SPOT ASSIST. Recent Arrival! The E-Class Wagon is a masterpiece of elegance, just waiting to cater to you as the driver. It can be considered an innovator of luxury sedans, being the most advanced E-Class yet. With the E-Class, you have not only a luxurious and elegant ride, but also a vehicle that puts safety as a number one priority. The E-Class provides technologies that have never been offered before, such as groundbreaking Car-to-X Technology. This Car-to-X technology connects your E-Class to a central information resource, to send you in-car updates about driving conditions before you get to them. Your E-Class can also report its own information, such as hazards in the road to alert other E-Class drivers. Other safety features such as PRESAFE® Sound and PRESAFE® Impulse, you are protected in all ways imaginable during the unfortunate event of a collision. The E-Class not only keeps you safe, but it provides the best of the best in your interior cabin. The E-Class sedan sports a panoramic 12.3-inch screen that provides navigation, entertainment and countless features, right in your eye-sight of view. The E-Sedan also boasts standard COMAND® navigation, so you always know the right direction to go. Along with these features, the cabin has fine-tailored seats paired with exotic wood trims, which accent perfectly at night perfectly with the 64-color ambient lighting. Day or night, the E-Wagon will look great inside, as well as outside.PREMIUM PACKAGE, EXTERIOR LIGHTING PACKAGE, AMG LINE EXTERIOR, PARKING ASSISTANCE PACKAGE, 19" AMG® TWIN 5-SPOKE WHEELS, ILLUMINATED DOOR SILLS WITH MERCEDES-BENZ LETTERING, ILLUMINATED STAR, LED LOGO PROJECTORS, BLIND SPOT ASSIST. The E-Class Wagon is a masterpiece of elegance, just waiting to cater to you as the driver. It can be considered an innovator of luxury sedans, being the most advanced E-Class yet. With the E-Class, you have not only a luxurious and elegant ride, but also a vehicle that puts safety as a number one priority. The E-Class provides technologies that have never been offered before, such as groundbreaking Car-to-X Technology. This Car-to-X technology connects your E-Class to a central information resource, to send you in-car updates about driving conditions before you get to them. Your E-Class can also report its own information, such as hazards in the road to alert other E-Class drivers. Other safety features such as PRESAFE® Sound and PRESAFE® Impulse, you are protected in all ways imaginable during the unfortunate event of a collision. The E-Class not only keeps you safe, but it provides the best of the best in your interior cabin. The E-Class sedan sports a panoramic 12.3-inch screen that provides navigation, entertainment and countless features, right in your eye-sight of view. The E-Sedan also boasts standard COMAND® navigation, so you always know the right direction to go. Along with these features, the cabin has fine-tailored seats paired with exotic wood trims, which accent perfectly at night perfectly with the 64-color ambient lighting. Day or night, the E-Wagon will look great inside, as well as outside. DESIGNO PACKAGE, NATURAL GRAIN BROWN ASH WOOD TRIM, ILLUMINATED STAR, HEATED/COOLED FRONT CUPHOLDERS, PANORAMA SUNROOF, HEATED STEERING WHEEL, TRAILER HITCH, POWER EASY-ENTRY. Recent Arrival! In the GLS, there is room for everyone to experience the luxury a Mercedes-Benz has to offer. With room for seven passengers, the GLS is eager to bring your whole family to your destination, in style as well as comfort. The GLS is built and designed to set the bar for all other seven passenger luxury SUVs, with the GLS being built on the legacy of the S-Class sedan, and the legendary G-Class. It's an SUV with room for everyone while also being a stylish trendsetter. Inside the GLS, the cabin is easy to enter, and even easier to stay inside. With large side doors and the innovative EASY-ENTRY 2nd-row seats welcome additional passengers into the spacious third row seating. With standard features such as the power liftgate, power-folding third row and 60/40-split second row, convenience is a standard in the GLS. Whether you are a passenger, or the driver, you'll find it hard to want to leave the cabin. Made with the highest craftsmanship you would only expect from Mercedes-Benz, the GLS is determined to please all your vehicle needs, as well as your passengers.DESIGNO PACKAGE, NATURAL GRAIN BROWN ASH WOOD TRIM, ILLUMINATED STAR, HEATED/COOLED FRONT CUPHOLDERS, PANORAMA SUNROOF, HEATED STEERING WHEEL, TRAILER HITCH, POWER EASY-ENTRY. PREMIUM PACKAGE, APPEARANCE PACKAGE, LANE TRACKING PACKAGE, PARKING ASSIST PACKAGE, HEATED/COOLED FRONT CUPHOLDERS, HEATED STEERING WHEEL, BURL WALNUT WOOD TRIM. Recent Arrival! In the GLS, there is room for everyone to experience the luxury a Mercedes-Benz has to offer. With room for seven passengers, the GLS is eager to bring your whole family to your destination, in style as well as comfort. The GLS is built and designed to set the bar for all other seven passenger luxury SUVs, with the GLS being built on the legacy of the S-Class sedan, and the legendary G-Class. It's an SUV with room for everyone while also being a stylish trendsetter. Inside the GLS, the cabin is easy to enter, and even easier to stay inside. With large side doors and the innovative EASY-ENTRY 2nd-row seats welcome additional passengers into the spacious third row seating. With standard features such as the power liftgate, power-folding third row and 60/40-split second row, convenience is a standard in the GLS. Whether you are a passenger, or the driver, you'll find it hard to want to leave the cabin. Made with the highest craftsmanship you would only expect from Mercedes-Benz, the GLS is determined to please all your vehicle needs, as well as your passengers.PREMIUM PACKAGE, APPEARANCE PACKAGE, LANE TRACKING PACKAGE, PARKING ASSIST PACKAGE, HEATED/COOLED FRONT CUPHOLDERS, HEATED STEERING WHEEL, BURL WALNUT WOOD TRIM. PREMIUM PACKAGE, LIGHTING PACKAGE, APPEARANCE PACKAGE, LANE TRACKING PACKAGE, PARKING ASSIST PACKAGE, ILLUMINATED STAR, HEATED/COOLED FRONT CUPHOLDERS, PANORAMA SUNROOF, HEATED STEERING WHEEL. Recent Arrival! In the GLS, there is room for everyone to experience the luxury a Mercedes-Benz has to offer. With room for seven passengers, the GLS is eager to bring your whole family to your destination, in style as well as comfort. The GLS is built and designed to set the bar for all other seven passenger luxury SUVs, with the GLS being built on the legacy of the S-Class sedan, and the legendary G-Class. It's an SUV with room for everyone while also being a stylish trendsetter. Inside the GLS, the cabin is easy to enter, and even easier to stay inside. With large side doors and the innovative EASY-ENTRY 2nd-row seats welcome additional passengers into the spacious third row seating. With standard features such as the power liftgate, power-folding third row and 60/40-split second row, convenience is a standard in the GLS. Whether you are a passenger, or the driver, you'll find it hard to want to leave the cabin. Made with the highest craftsmanship you would only expect from Mercedes-Benz, the GLS is determined to please all your vehicle needs, as well as your passengers.PREMIUM PACKAGE, LIGHTING PACKAGE, APPEARANCE PACKAGE, LANE TRACKING PACKAGE, PARKING ASSIST PACKAGE, ILLUMINATED STAR, HEATED/COOLED FRONT CUPHOLDERS, PANORAMA SUNROOF, HEATED STEERING WHEEL. PREMIUM PACKAGE, LIGHTING PACKAGE, APPEARANCE PACKAGE, ACCESSORY CHROME PACKAGE, LANE TRACKING PACKAGE, ILLUMINATED STAR, PANORAMA SUNROOF, HEATED STEERING WHEEL. Recent Arrival! In the GLS, there is room for everyone to experience the luxury a Mercedes-Benz has to offer. With room for seven passengers, the GLS is eager to bring your whole family to your destination, in style as well as comfort. The GLS is built and designed to set the bar for all other seven passenger luxury SUVs, with the GLS being built on the legacy of the S-Class sedan, and the legendary G-Class. It's an SUV with room for everyone while also being a stylish trendsetter. Inside the GLS, the cabin is easy to enter, and even easier to stay inside. With large side doors and the innovative EASY-ENTRY 2nd-row seats welcome additional passengers into the spacious third row seating. With standard features such as the power liftgate, power-folding third row and 60/40-split second row, convenience is a standard in the GLS. Whether you are a passenger, or the driver, you'll find it hard to want to leave the cabin. Made with the highest craftsmanship you would only expect from Mercedes-Benz, the GLS is determined to please all your vehicle needs, as well as your passengers.PREMIUM PACKAGE, LIGHTING PACKAGE, APPEARANCE PACKAGE, ACCESSORY CHROME PACKAGE, LANE TRACKING PACKAGE, ILLUMINATED STAR, PANORAMA SUNROOF, HEATED STEERING WHEEL. PREMIUM PACKAGE, LIGHTING PACKAGE, APPEARANCE PACKAGE, LANE TRACKING PACKAGE, PARKING ASSIST PACKAGE, ILLUMINATED STAR, HEATED/COOLED FRONT CUPHOLDERS, PANORAMA SUNROOF. Recent Arrival! In the GLS, there is room for everyone to experience the luxury a Mercedes-Benz has to offer. With room for seven passengers, the GLS is eager to bring your whole family to your destination, in style as well as comfort. The GLS is built and designed to set the bar for all other seven passenger luxury SUVs, with the GLS being built on the legacy of the S-Class sedan, and the legendary G-Class. It's an SUV with room for everyone while also being a stylish trendsetter. Inside the GLS, the cabin is easy to enter, and even easier to stay inside. With large side doors and the innovative EASY-ENTRY 2nd-row seats welcome additional passengers into the spacious third row seating. With standard features such as the power liftgate, power-folding third row and 60/40-split second row, convenience is a standard in the GLS. Whether you are a passenger, or the driver, you'll find it hard to want to leave the cabin. Made with the highest craftsmanship you would only expect from Mercedes-Benz, the GLS is determined to please all your vehicle needs, as well as your passengers.PREMIUM PACKAGE, LIGHTING PACKAGE, APPEARANCE PACKAGE, LANE TRACKING PACKAGE, PARKING ASSIST PACKAGE, ILLUMINATED STAR, HEATED/COOLED FRONT CUPHOLDERS, PANORAMA SUNROOF. DRIVER ASSISTANCE PACKAGE, WOOD/LEATHER STEERING WHEEL, ILLUMINATED DOOR SILLS. Recent Arrival! The SL Roadster will have you convinced that there is such a thing as love at first sight. Just one look at the seductive and sleek exterior of the SL will have you addicted. With flowing LED headlamps, a reshaped grille, and a sculpted lower body styling, it's a roadster that inspires desire. On top of all that, the SL features a retractable hardtop, giving it the sleek proportions of a coupe, and the open air atmosphere of a classic open roadster. The SL's signature retractable hardtop transforms from a sporty coupe to a sleek convertible in a matter of seconds, and up to speeds of 25 mph. When the top is up however, you can still enjoy the sky above you with the standard Panorama roof that features a see-through panel and sliding sunshade. Therefore, when the weather may not agree with an open convertible top, you can still have an open-air feel in the cabin. The SL provides all the perks of having a roadster coupe, with the added bonus of having a retractable convertible top. What more could one want from a vehicle like this?DRIVER ASSISTANCE PACKAGE, WOOD/LEATHER STEERING WHEEL, ILLUMINATED DOOR SILLS. PREMIUM 1 PACKAGE, DRIVER ASSISTANCE PACKAGE, DESIGNO NATURAL GRAIN BLACK ASH WOOD TRIM, COMFORT BOX. Recent Arrival! 27/17 Highway/City MPG The S-Class holds a rich and distinct legacy with the Mercedes-Benz brand. As Mercedes-Benz's flagship model, it meets and exceeds every single expectation you would expect of a Mercedes-Benz. With luxurious and spacious seating for 5, everyone is destined to be comfortable and relaxed no matter how long the trip may be. With the S-Class, you can experience and immerse yourself in the legacy and dynasty that the S-Class is designed upon, and feel all the luxurious benefits of the vehicle with every single drive you go on. The variety of features available on the S-Class have you the driver in mind, such as Energizing Comfort Control, which rejuvenates your senses with a symphony of climate comfort, fragrance, massage, lighting and music. With Dual 12.3 inch widescreens on the dash, you will never miss a beat. Each screen, an instrument panel and a central screen for entertainment, navigation and more, brings you a wealth of knowledge no matter where the destination may be. The S-Class provides everything you would need in a car, plus the world. With the S-Class, you will feel like a legend, while driving a legendary luxury sedan.PREMIUM 1 PACKAGE, DRIVER ASSISTANCE PACKAGE, DESIGNO NATURAL GRAIN BLACK ASH WOOD TRIM, COMFORT BOX. Car shopping in the Huntington Station area but having trouble deciding on a model? We have a wide variety of luxury models in stock, from the popular Mercedes-Benz C-Class to the fan favorite Mercedes-Benz GLC. When you’re ready to take your Greenlawn commute to the next level, stop by Mercedes-Benz of Huntington to pursue the Mercedes-Benz models for sale! 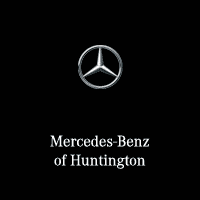 Why Choose a New Mercedes-Benz from Mercedes-Benz of Huntington? Our sales team is standing by to get you behind the wheel of the model that best suits your budget and driving needs in the Cold Spring Harbor area, and it’s their goal to make the car-buying process that much less stressful. Contact us today to get the process started.